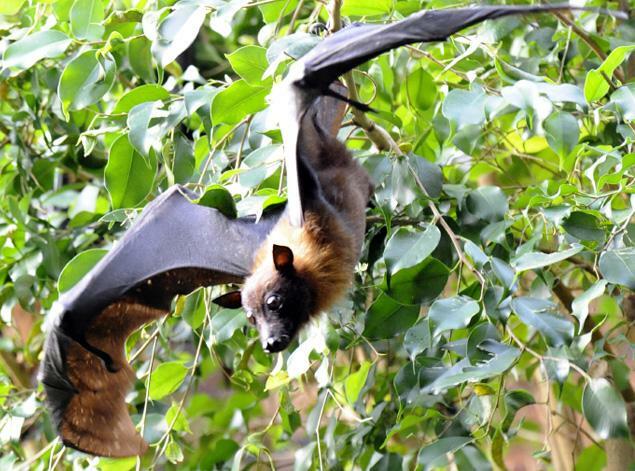 Giant bats known as flying foxes are on display in JungleWorld, the simulated indoor rainforest at the Wildlife Conservation Society’s Bronx Zoo. This is the largest bat exhibit in the city with 21 males on display. Find out more details at the Wildlife Conservation Society. 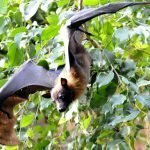 This entry was posted in Bats, News on March 23, 2012 by Chaos Wildlife.